A New Year Special Announcement for Bloggers & Our Tweets! Thank you so much for following us on the Ivy Ridge Blog and those who read our Tweets. You are so gracious to be willing to receive our information in our email boxes and Twitter accounts that I would like to get you a heads up concerning our Christmas Sale that will not be announced on Facebook until Monday! 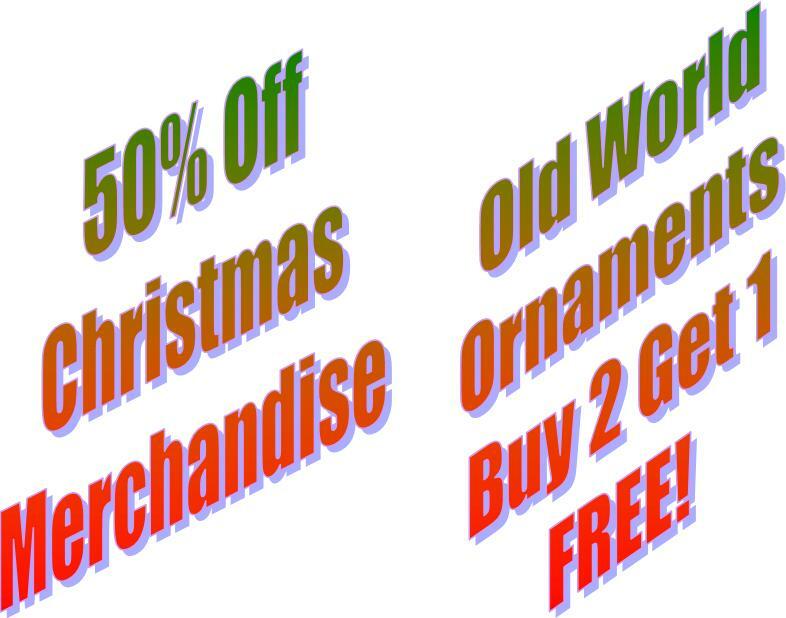 All our Christmas merchandise (excluding Willow Tree and Old World Christmas) will be 60% OFF beginning Monday, January 3rd. Stop by early for the best selection! 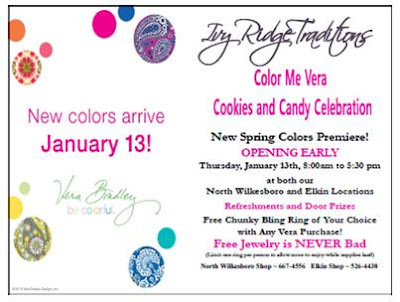 Mark Your Calendar for the Vera Bradley Spring Premiere! New Arrival ~ Guard Your ID Stamp! Honestly, this is one of the most unique products we have had in a long time! 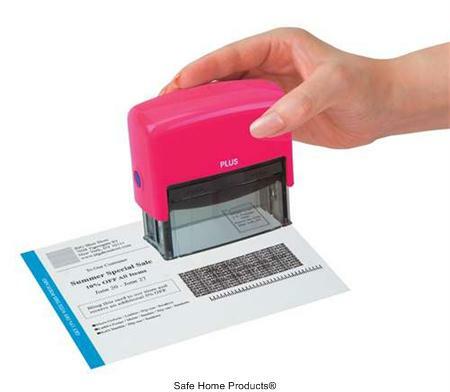 The ID Guard Stamp helps prevent identity theft by making addresses disappear from bills, junk mail, invoices, credit card statements with a simple stamp! A Few Points Why This is So Great! 12 Days of Christmas ~ Dec. 14th! 12 Days of Christmas ~ Dec. 13th! 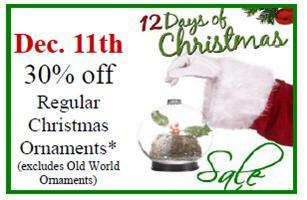 12 Days of Christmas ~ Dec. 11th! 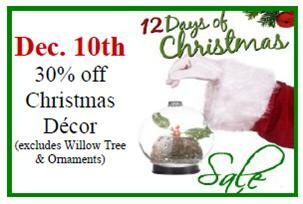 12 Days of Christmas ~ Dec. 10th! 12 Days of Christmas ~ Dec. 9th! 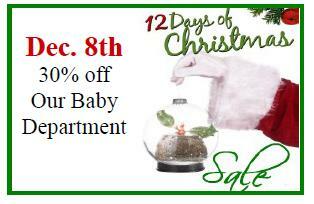 12 Days of Christmas ~ Dec. 8th! 12 Days of Christmas ~ Dec. 7th! 12 Days of Christmas ~ Dec. 6th! 12 Days of Christmas ~ Dec. 4th! 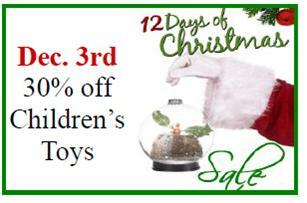 12 Days of Christmas ~ Dec. 3rd! 12 Days of Christmas ~ Dec. 2nd!